I would like to receive occasional information and updates from Royal Grammar School High Wycombe Centenary Sportsman's Dinner and jumblebee. We are delighted to announce the Centenary Sportsman’s Dinner 2019 and, for the first time, online auction . Businesses, local and beyond, parents, alumni and supporters in the community have generously donated 100 fantastic prizes to be part of this auction. 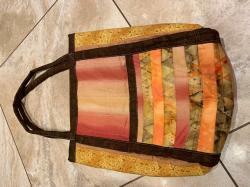 There is something for everyone so please browse and bid! Each Saturday, the RGS fields up to 19 rugby teams against a highly challenging fixture list, playing 250 competitive matches across the season. Giving the boys the opportunity to develop personally by playing this ultimate team sport and helping to support their health and fitness are key missions of rugby at the RGS. In this process, the school has developed over 30 schoolboy internationals, including many world-class players such as Matt Dawson, Tom Rees and Christian Wade (who had never played rugby before he joined the school and started off in his year group's C team). RGS also has an outstanding NatWest Cup record including an unprecedented three U15 final appearances in a row. A key challenge for the school is funding. The basics (i.e. cost of provision of the transport to fixtures, teas for visiting players, medical services pitch side etc.) cost well over £60,000 per year. The school is only able to contribute £5,000 towards this cost. So the shortfall is made up by parental contributions and fund raising efforts arranged by the Friends of Rugby of RGS (FRoRGS), which comprises parents and representatives from among the school's teachers. We do not want to stop at funding the "basics". We want the RGS to continue and build on its rich heritage by developing as many rugby players as possible and giving them the very best facilities and support in the process. 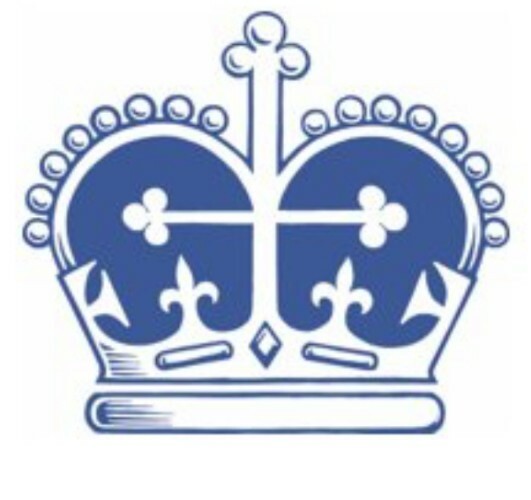 This ambitious agenda includes significantly developing the gym, provision of more and specialist coaching staff (to supplement the current reliance on the teachers), physio facilities for rehabilitation from injuries and also the provision of scholarships for talented rugby players who want to join the school as Boarders. This year, it is our great privilege to announce that David Flatman, former England international and celebrated pundit, will be our Master of Ceremonies for the evening. 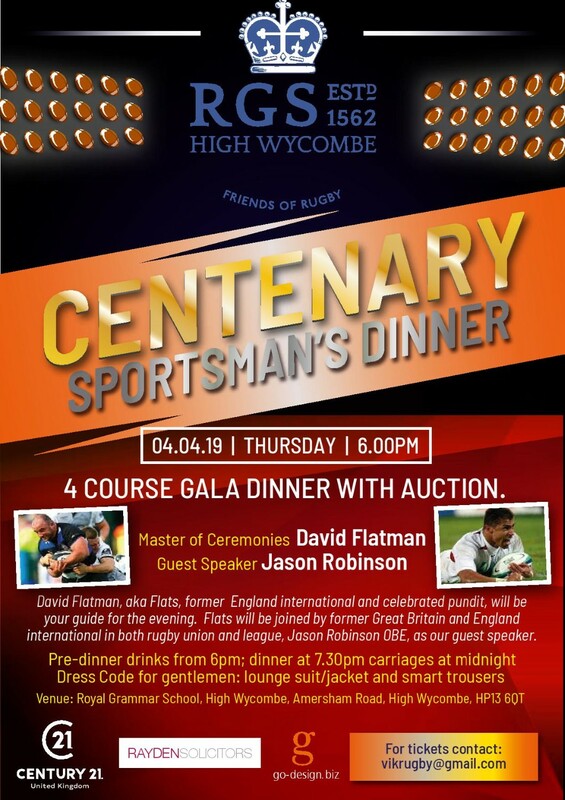 Flats will be joined by former Great Britain and England international in both rugby union and league, Jason Robinson OBE, as our guest speaker. 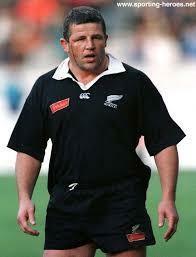 Flats and Robbo promise to share a wealth of rugby experience, anecdotes and banter. 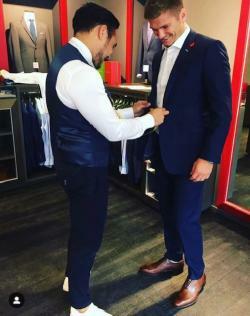 See them in action on and off the rugby pitch https://m.youtube.com/watch?v=uXKrm6EHEUw https://www.google.co.uk/search?q=you+tube+jason+robinson&ie=UTF-8&oe=UTF-8&hl=en-gb&client=safari. 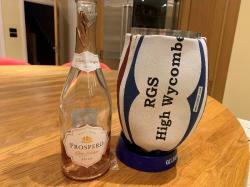 Thank you for supporting rugby at the Royal Grammar School, High Wycombe. This auction is open for you to bid online until 12 noon on 3rd April 2019 when online bidding will close. Bidding will re-open at the Dinner on Thursday 4th April 2019 and will only be available at the venue. If you are unable to attend the Dinner you can still give yourself the best chance of winning by placing a proxy (maximum) bid on this page. We will carry your bid over to the silent auction on the night and continue bidding for you up to your maximum. You will be contacted after the Dinner if your bid has been successful. For more details of how to bid online, just click on the Auction Guide below. Click anywhere on the item in order to open up the images and the lot description. You many need to scroll down to view all the details about the lot. Click the "X" at the top of the image to get back to the auction home page. 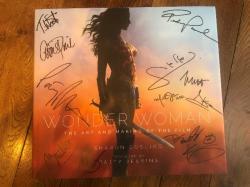 To place a bid click on the item, enter your bid and click on "Bid Now". If you are not already signed in you will be prompted to register (with your email, phone number and password) or to sign in, if you already have a jumblebee account. These details are requested so that you can be contacted if you are the winning bidder and will never be passed to a 3rd Party. Once you have signed in you will be asked to confirm your bid - at this point you can uncheck "Show my name" if you would prefer to remain anonymous for that bid. If your bid is successful you will see a "highest bidder" message on the screen and you will receive a confirmation email. If there has already been a higher proxy bid placed on the item a message will appear to tell you that you have been outbid by a proxy bidder. If your bid has been successful but you are outbid later you will receive an email informing you and inviting you to bid again. This is the equivalent to leaving a bid with an auction house if you are unable to attend the auction. It is the highest amount you are prepared to bid to secure the item. A proxy bid is any bid higher than the minimum bid required. If you make a proxy bid the system will try to win the item for you at the lowest price by bidding only the minimum increment required to win the item against another bidder. When you bid online, if you are not attending the Ball you may want to place a proxy bid so that the system can bid on your behalf before and during the event. This online auction will be open for bidding until 12noon on Wednesday 3rd April 2019. The leading bid on each auction lot at that time will be carried over to the auction at the event on the 4th April. If proxy bids are placed these will be carried over to the auction at the event. From your luxurious accommodation in a Garden View Suite, for up to 2 adults and 2 children under 12 years (* upgrade available), explore this palm fringed resort with a delightful choice of restaurants, water sports and entertainment. 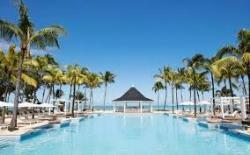 Return transfers in Mauritius by private vehicle. Valid for travel between now and 10th October 2019, excluding the Easter period. Also valid between 10th – 19th December 2019. Subject to availability at time of enquiry. Terms and conditions apply. * Should you wish to travel with a larger group or older children, the prize is still valid but a supplement will apply. 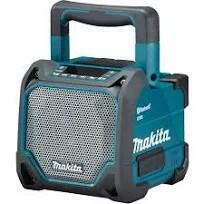 Turquoise will provide a bespoke quote. Ferme Outteaux is a 250 year old traditional French farmhouse which is located on the hillside above the village of St Jean D’Aulps, right in the heart of Europe’s largest linked ski area, the Portes du Soleil. Whether you are looking for an adrenalin-fuelled winter holiday, a sunny summer of exploration, or a calming place to sit back and relax, Ferme Outteaux is the perfect holiday base. The house: Accommodation comprises 1 double room, 1 twin room, lounge with a double sofa bed, bathroom and a well-equipped kitchen with a large dining table – ideal for up to 6. There is ample parking in front of the house, and a private sunny terrace to the rear. Location: Situated at the top of the French Alps, Ferme Outteaux is 1 hour 20 minutes from Geneva airport or 8 hours from Calais. 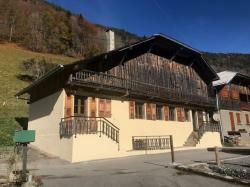 For skiers, the house is 10 minutes’ drive from Morzine and 15 minutes from the Ardent telecabine in the centre of the Portes du Soleil ski area. To do in Winter: Skiing and snowboarding, kite skiing/boarding, parapenting, cross country skiing, snowshoeing, ice diving, ice climbing, ice skating, wellness, skidoo - or watch the Morzine Avoriaz Penguins ice hockey team! To do in Summer: Hiking, mountain biking, road biking (the Tour de France regularly passes through Morzine and Avoriaz), kayaking, white water rafting, canyoning, climbing, horse riding, lake swimming, bird watching – or sunbathing! Places to visit: Lake Geneva is 25 minutes’ drive down the valley. There you’ll find the spa towns of Evian and Thonon, the medieval walled town of Yvoire, the 11th century Chateau de Chillon near Montreux and even a proper beach at Excenevex. Samoëns, a UNESCO World Heritage Site, is in the next valley, as is the magnificent cliff circle of Sixt-Fer-à-Cheval. The lakeside town of Annecy is 1.5 hours away as is the traditional alpine town of Chamonix at the foot of Mont Blanc. * The reservation includes heating, bedding and towels. Booking is subject to availability. There is extremely limited availability during winter school holidays. Lovely cottage in south west Ireland in the pretty village of Glin on the River Shannon. 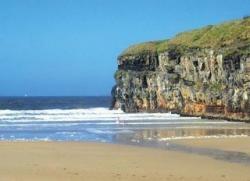 50 mins from Farranfore Airport / one hour from Shannon airport. Recently modernised and welcoming family home. Kitchen-diner open plan with dining table, sofa and wood burner. All appliances including range cooker. 20mins from Ballybunion (photo of beach above); 1 hour north of Killarney; Scenic walks on door step of Glin castle and the river Shannon; Very friendly village with 6 pubs; Available year round excluding the Christmas/New Year period. 5.4 miles north east of Port Isaac / Sleeps 8 + 2 cots* with dramatic sweeping views from almost every room taking in rolling countryside, mining heritage and the breathtaking north Cornish coastline, Mill Barn is the perfect holiday destination. Set down a private driveway shared with just two other properties, this is the ideal place to relax, unwind and enjoy cherished moments together. From the minute you step inside Mill Barn you feel at home, and the welcoming kitchen/dining-room with its slate floors and gorgeous Aga really help to set the mood. Take the stairs to the half-landing and the sitting-room opens up in front of you. This room is impressive – with large comfy sofas, high-vaulted ceilings, oodles of space and the mother of all wood-burners. The floor to ceiling windows allow mother nature to take centre stage but you can always step outside and get that bit closer to nature, spending time out on the terrace enjoying more of what this spectacular setting has to offer. A second sitting-room can be found on the first floor offering a large television, Wii, table-football, DVDs and games galore, ideal for the younger members of the party who might want some of their own space. The incredibly spacious master suite is on the first floor with its elegant en suite bathroom complete with free-standing bath, and three further beautifully appointed bedrooms, each with 'zip and link' beds providing the ultimate in flexible accommodation, are on the ground floor along with the family bathroom. Add to this outside storage for all that essential holiday kit, an outdoor shower to rinse off mucky dogs and humans (!!) and an acre of land to burn off some energy. This part of Cornwall is as fabulous as Mill Barn itself. If beach days are on the agenda, it's only two miles down the footpath to Trebarwith Strand or venture further along the coast to some more wonderful beaches at Polzeath and Daymer Bay. Go exploring in the fishing villages of Port Isaac and Crackington Haven or discover Arthurian legend at Tintagel and tales of Cornish witches at Boscastle. All that sea air will certainly work up an appetite and, if you fancy a bite to eat, well you are spoilt for choice in this area. Traditional pubs, award-winning restaurants, beach side cafes and celebrity chefs are in abundance all waiting to serve up some good old Cornish hospitality and fayre. Availability is limited for summer 2019 but the winning bidder should contact Don and Heather Rowlands to book an available week this year or next summer. 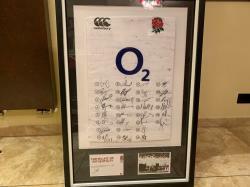 A framed England rugby shirt signed on 28.10.18 by the England rugby squad (with certificate of authenticity). Presented in a basic frame. If the winning bidder would like to have the shirt reframed in a professionally framed manner of their choice, FRORGS would be grateful if the basic frame could be returned to us for use at future events! The Granary is a lovely former farm building, set in the beautiful Cotswold countryside, with glorious rural views. Located on the outskirts of the quiet village of Great Wolford and close to Moreton-in-Marsh and the picturesque market town of Chipping Campden, The Granary is the perfect place for a peaceful and relaxing break. The Granary has stunning rural views and sits in the owners’ extensive grounds in the heart of the beautiful North Cotswold countryside. The Granary is located on the outskirts of the small, peaceful village of Great Wolford, and is also only a short drive or a lovely walk away from many of the famous North Cotswolds towns and villages, including Moreton-in-Marsh, Chipping Campden, Stow-on-the-Wold and Bourton-on-the-Water. 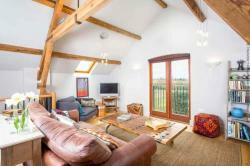 The Granary is also well placed for exploring further afield places, such as Stratford-upon-Avon, Blenheim Palace and Oxford. This traditional former granary benefits from picture postcard views across the fields of the beautiful church of St Michael and All Angels in Great Wolford, and the property itself contains lovely exposed oak beams, wooden floors and exposed Cotswold stone footings. The character of the recently refurbished cottage is complemented by its modern facilities, including wireless internet access, a flatscreen TV and a well presented kitchen. 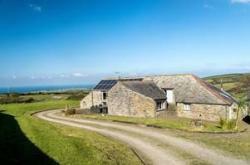 The Granary sleeps a maximum of five people, in three bedrooms, with a family bathroom and separate WC. There is a lovely elevated deck attached to the property, as well as a separate private outdoor area, and guests also have access to the owners’ beautiful extensive gardens. The Granary is perfect for a family, a couple or group of friends looking for a relaxing break in the heart of the Cotswold countryside. Ground floor utility room and WC: Contains a toilet, wash basin and a washing machine/tumble dryer. Kitchen: The well presented kitchen area contains an electric oven, four ring electric hob, fridge, freezer, dishwasher, microwave, kettle and toaster. French doors lead out from the dining area to a raised decking area, which contains comfy outdoor seating and a small table, and is a beautiful space to relax and admire the lovely gardens in which the cottage sits. To the side of the cottage, on the ground floor is a further outdoor table, with seating for five, and a charcoal barbecue. A framed photograph of Jason Robinson scoring at the rugby world cup 2003 signed by our special guest . 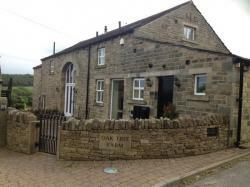 Escape to the country and enjoy a week's break in this beautiful home located in the heart of West Yorkshire. This stunning five bedroom barn conversion is located in Stocksmoor just 3 miles from Holmfirth (heart of Last of the Summer Wine country) and 5 miles from Huddersfield (birthplace of Lord Hanson, Harold Wilson and rugby league) and sleeps up to 12. Accommodation comprises: ground floor - large kitchen-diner with island and table seating for 12; formal dining room; family lounge with gas fire; TV room; first floor - master bedroom with en suite; second bedroom with en suite; three further double bedrooms; family bathroom; above garage - bedsit with sofa bed, TV and shower; outside - garden and field; many local walks and pubs offering local ales and food. For more photos and information search Oak Tree Farm, Stocksmoor on Airbnb to see the 5 star reviews. Have a glorious day out to remember on Friday 21 June in the exclusive Royal Enclosure at Royal Ascot races. Tickets only available to members to buy at the invitation of Her Majesty's Representative. Dress code: for Gentleman: morning dress and top hat; for Ladies: formal daywear and hat (no strapless, off the shoulder, halter necks, spaghetti straps or bare midriffs)! Enjoy a fantastic evening of delicious wine tasting and fascinating insights with Mark Hughes of The Real Wine Company at your home for up to 18 people. A wonderfully enjoyable evening! A photo shoot with family or friends by acclaimed local photographer Jenny Kaye worth £250 plus a 16x12" framed print. Enjoy a delicious 3 course Peking Special feast at the fantastic China Diner in Beaconsfield New Town (drinks not included). 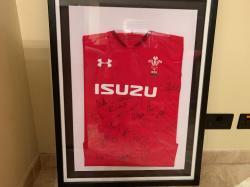 Welsh shirt signed by Grand Slam Winning Squad! Welsh rugby shirt signed by the 2019 6 Nations squad. Treat yourselves to beautiful nails with a luxurious gel manicure in the comfort of your own home. Treat yourself to a VISIA skin analysis followed by a Hydrafacial treatment. 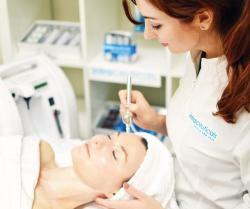 This fantastic treatment by award winning beauty and medical aesthetics boutique usually costs £140. 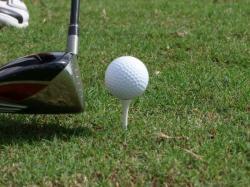 Enjoy a round of of golf for 4 at Beaconsfield's glorious golf course. Treat four boys to a fantastic coaching session at Lord's cricket ground. Choose either a Hawk-Eye bowling session or Pitch Vision batting session. This gorgeous hand-quilted cotton long-handled bag is 44 cm x 38 cm and is the perfect size for an everyday shopping bag or to take books and files along in. Well made and durable and completely unique! Enjoy a delicious meal for four at the newly refurbished The Beech House in Beaconsfield (drink not included). One week's work experience with top 10 city law firm Ashurst. 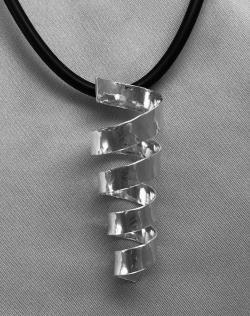 Handmade sterling silver spiral pendant hand-crafted by Charlotte Hetzel . Pendant is 6cm x 2cm, shown on chunky cable but this can be exchanged for silver chain if desired. from a selection of 6 necklaces, earrings and bracelets. 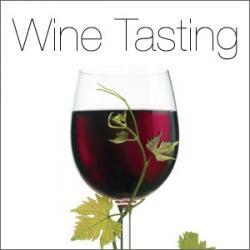 Get a group of friends together and enjoy an evening of wine tasting on Gregories Road, Beaconsfield. Six wines from a variety of regions and a variety of grape hosted by Francis Howe, father of RGSHW alumnus and international schoolboy rugby player Tom Howe. A Wednesday/Thursday evening by mutual agreement. A beautiful box of organic Aveda hair products, with large and small shampure shampoo and conditioner . Select either a relaxing or rejuvenating 60 minute facial or massage at top beauty and hair salon Oxygen Hair and Beauty in Beaconsfield. To be redeemed in April or May 2019. Beautiful Limited Edition A3 framed photo print , kindly donated by by Gill Storr, a local graphic designer, photographer and founder of design studio go-design.biz. Gill has a range of sporting, car, cityscape and other prints and the winning bidder can select from a range of similar sized pieces. 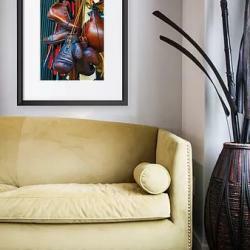 http://www.go-design.biz/shopforart To view available original art and photography collections. Enjoy the open road in style for a weekend in a glorious Audi TT. 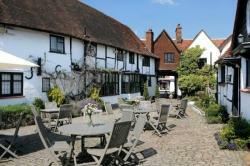 Enjoy a lovely afternoon tea for 2 at The Bedford Arms in Chenies. 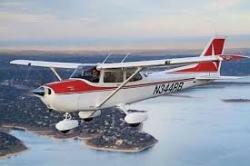 Enjoy a magnificent view of the Chilterns for 2/3 people in a Cessna airplane trip with local pilot Andy Cordiner. Treat yourself to a thorough medical examination with local experts Doctor Now. 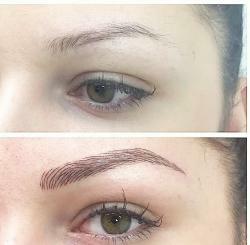 Treat yourself to the very latest in eyebrow beauty with microblading by expert Medine. Usual treatment cost is £400 plus. Enjoy an indulgent hair or beauty treatment in lovely Beaconsfield Salon House of Klamer. Week of work experience with Rayden Solicitors. Award-winning family law firm Rayden Solicitors, recognised by The Times as one of the Best Law Firms 2019, is offering a taste of life as a family lawyer with an opportunity to work in their Beaconsfield, Berkhamsted and St Albans offices. Kindly donated by Rayden Solicitors. Allow fitness trainer Antony Lee and his women only health and fitness programme to motivate you to get in shape. His 6 week personally tailored programme of exercise sessions and health and fitness advice and monitoring is the perfect way to become fitter and healthier in 2019. 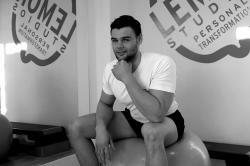 Allow fitness trainer Antony Lee and his over 30 men only health and fitness programme to motivate you to get in shape. His 6 week personally tailored programme of exercise sessions and health and fitness advice and monitoring is the perfect way to become fitter and healthier in 2019. 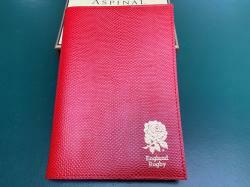 Beautiful Aspinal notebook signed by Simon Shaw MBE and Iain Balshaw MBE, both former England and British and Irish Lions rugby union internationals. 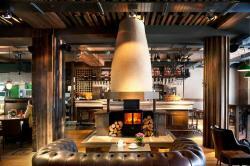 Enjoy a luxury overnight stay at 4 * The Crown in Old Amersham. 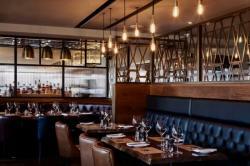 Enjoy dinner for four at stylish steak restaurant Prime in Beaconsfield (excluding drinks). 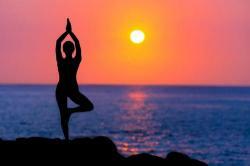 Rebalance and revive with a 1 1/2 hour yoga session for up to 6 people. 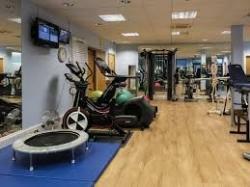 This can be tailored to your needs or sport. Kindly donated by yoga expert Bean Peel. ILLUMINE Candles are the brainchild of Ann King, a Beaconsfield based Interior Designer. ILLUMINE candles are made in the UK from a natural soya wax blend containing coconut wax. The wax is blended with high quality fragrances for a luxurious and long lasting affect. Lighting an ILLUMINE candle means you will experience the benefit in every area of your home and not just in the room you choose to place it. A fantastic opportunity to equip your team with quality personalised workwear from Recognition Express, the South Bucks one-stop-shop for all branding and promotional needs. b) 10 polo shirts embroidered with your 12k stitch logo (includes logo set-up). Andy Lian has generously donated 3 sets of workwear. 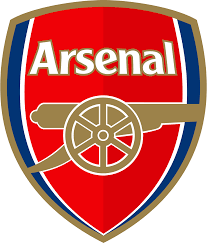 Enjoy watching a category B/C Gunners match in the 2019-2020 season. Talented local artist Gabby Harman paints in a variety of media with a strong use of colour and different textures and layering. 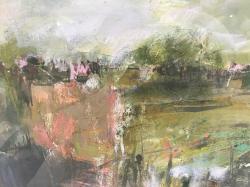 Gabby takes her inspiration from surrounding landscapes when out walking the dogs, seascapes and flowers. Gabby exhibits locally and the winning bidder can select from various of Gabby's works. Hours of loving crafting has gone into this unique lap quilt. 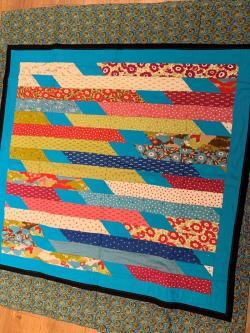 A perfect gift as a beautifully different baby blanket or as a gorgeous lap quilt for evenings in front of the tv. 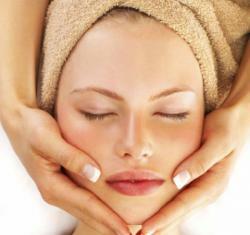 Treat yourself to the amazing Intraceuticals oxygen facial. This fantastic treatment by multi-award winning Medical Aesthetic Clinic is the latest addition to the medical facial menu. 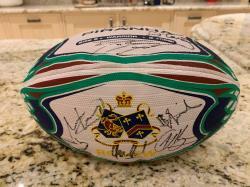 An RGS rugby ball signed by Saracens players. Full list to follow. 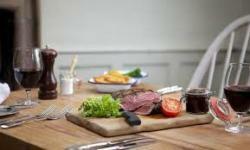 Enjoy a delicious meal for four at The Beech House in Amersham. 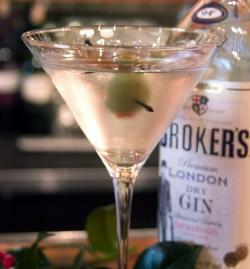 Invite a group of up to 10 friends to a gin tasting experience at Majestic Wine in High Wycombe. 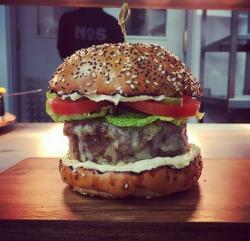 Famous for its modern British cuisine, including delicious burgers, cosy ambience and great service, dinner at No. 5 is a real treat. 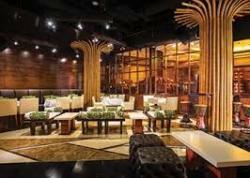 Enjoy a meal for 4 (excluding drinks). 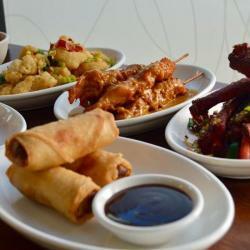 Enjoy delicious freshly cooked oriental dishes in High Wycombe - eat in or take-away. Be a part of this amazing festival which runs from 19 to 20 July 2019 and enjoy bands and artists such as the Happy Mondays, Suede, Craig David, Scouting for Girls and Jax Jones. Further details to be confirmed in due course. Spend a half day with Marathon World Record Holder, Olympian and athletics legend, Paula Radcliffe, at a sponsor appearance. Priceless opportunity for up to 2 people! Take a group of rugby lovers with you and enjoy being part of the studio audience at the live filming of Rugby Tonight as a "guest team" on Wednesday 24 April at East Queen Elizabeth Olympic Park, London E15 2GW. Transport by bus to and from the venue is generously being provided by Ashwood Travel. Requirements: over 16s only, be there for 7.00pm as the show goes live between 8-9.00pm. The winning bidder must register asap after the Sportsman's Dinner using the details on the voucher. 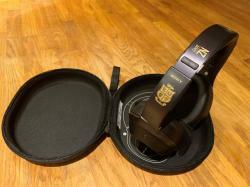 These quality MDR-1000X noise cancelling Sony headphones, with a retail value of approximately £300, were specially branded for the British and Irish Lions touring party 2017. 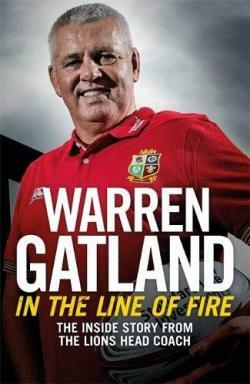 Warren Gatland's acclaimed autobiography "In the Line of Fire: The Inside Story from the Lions Head Coach, My Autobiography"
Enjoy hours of viewing with this complete seasons 11-15 box set of Family Guy. With 15 discs and 98 episodes, this is a treat for any Family Guy fan. 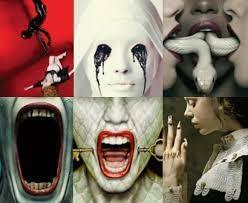 Enjoy hours of terrifying viewing with the complete 5 seasons box set of American Horror Story. With 20 discs and 63 episodes, this is a treat for any Family Guy fan. 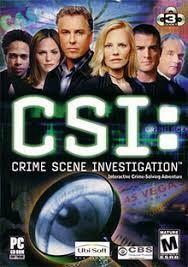 Enjoy hours of viewing with this complete seasons 6-10 box set of CSI. With 47 episodes, this is a treat for any crime drama fan. 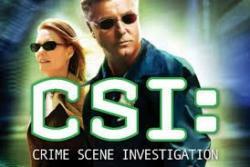 Enjoy hours of viewing with this complete seasons 1-5 box set of CSI. With 45 episodes, this is a treat for any crime drama fan. Settle down for a hilarious cinematic experience with blu-ray discs of David Brent, Life on the Road with Ricky Gervais and Mike and Dave Need Wedding Dates with Zac Efron and Anna Kendrick. Enjoy a evening in front of the TV with 2 intense films. 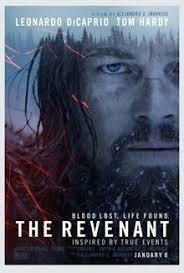 Oscar winning The Revenant with Leonardo di Caprio and Supersonic the true story of Oasis. 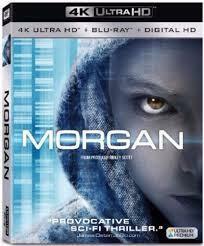 Have a night of two viewing halves with blu-ray sci-fi thriller Morgan by director Ridley Scott followed by super hero blockbuster Deadpool with Ryan Renolds. 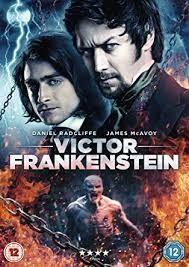 Enjoy an evening of drama with blu-ray disc of Viktor Frankenstein with Daniel Radcliffe and James McAvoy and Julieta by renowned director Pedro Almodovar. 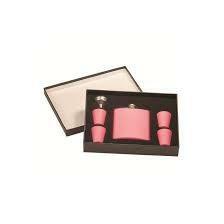 Ward off chills whilst watching rugby on the wintry try lines with this pink hip flask set. I large and small hip flask with 2 shot glasses and a funnel. 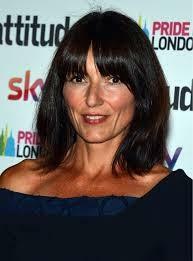 A signed photo of Big Brother and Comic Relief star Davina McCall. A signed photo of This Morning TV presenter Jenni Falconer. 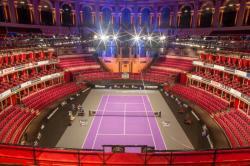 Revel in the beautiful surroundings of the Albert Hall and enjoy amazing tennis. A perfect pre-Christmas treat. Timing: Thursday 28 November 2019 at 7.30pm. Doors open at 6.45pm. Scottish tennis legend has signed a cap specially for the RGSHW Sportsman's Dinner. This gorgeous child's hand-quilted cotton long-handled bag is 22 cm x 17 cm and is the perfect size for any little girl's treasures. Well made and durable and completely unique! Shirt signed by New Zealand rugby legend Sean Fitzpatrick. An England cricket shirt to be signed by the England team playing in the 2019 Ashes at Lord's this summer. Enjoy a delicious Indian set meal for 2 at Sajna Indian restaurant, Beaconsfield on a Monday to Thursday lunchtime (excluding drink). Benefit from an expert musculoskeletal and sports injury assessment and rehabilitation plan with follow-up session from Elite Physical Medicine. 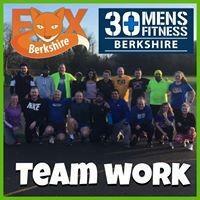 The 2 sessions can take place at the clinic of your choice from Aylesbury, Tring and Haddenham. This "Bomber" Harris tour of RAF High Wycombe is a unique and priceless opportunity which is not available to the public. With grateful thanks to the Officer Commanding RAF Police Flight and the station historian, we are able to offer a unique opportunity for a group of up to 10 persons (your Sportsman's Dinner table?) 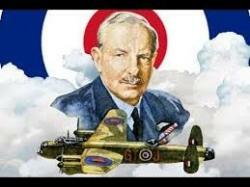 to visit Air Command at RAF High Wycombe and receive a tour of the office of Air Chief Marshal "Bomber" Harris and the World War 2 tunnels, preserved in time. The visit will also include a tour of the historic Officers’ Mess and lunch in the Mess. RAF High Wycombe remains the working Headquarters of the RAF, thus this tour is not normally open to the general public and it is rare for non serving personnel to be afforded the opportunity to visit. 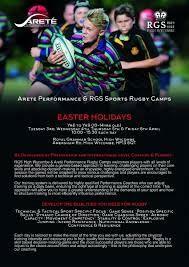 The successful bidder should contact Nathan Crinyion at RGSRugbyU12@gmail.com to arrange the visit. Framed photograph of the British and Irish Lions squad which toured to New Zealand in 2017 signed by the full squad. 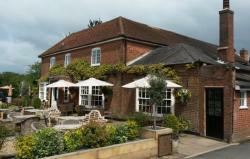 Enjoy a delicious dinner at The Crown in Amersham for 4 people (drinks excluded). 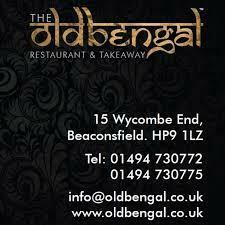 Enjoy an Indian meal for 2 at the Old Bengal, Beaconsfield from Monday to Thursday lunch or evening (excluding drinks). 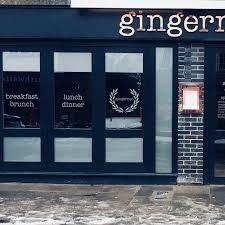 Fabulous new restaurant in Beaconsfield, Gingernut, serving delicious seasonal English food has generously donated a meal for 4 on Monday to Thursday. 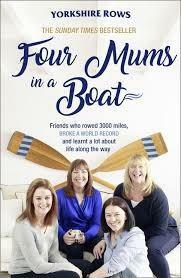 Signed copy of the inspirational story of four formidable working mums who rowed 3000 nautical miles across the Atlantic Ocean during the world's toughest rowing race. 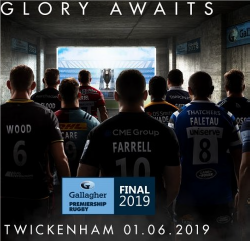 Enjoy the atmosphere of Allianz Park for a Saracens home game next season. 2 tickets for any home game. 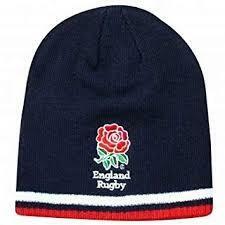 The perfect rugby viewing package for those cold and windy days on the sidelines. Enjoy a 45 minute flight in a C172 with pilot Luke Jankiewicz over Beaconsfield and environs. 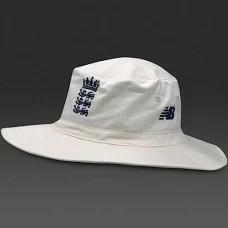 England adidas cricket sun hat signed by English cricketer and Strictly star, Graham Swan, and current English cricket captain, Joe Root. A Wasps home shirt signed by the entire squad. The shirt is framed but should you want to have it framed differently, we should be grateful if you could return the existing frame to us so that FRORGS can reuse for future fundraising! 4 tickets to the exclusive VIP Secret Garden at the "Glorious Goodwood" Festival on Saturday 3 August 2019. Ticket includes Richmond Enclosure admission, Pimms reception, 3 course chef's table, afternoon tea, wine, beer and soft drinks, parking and race card. Perfect for a family treat or client entertaining. 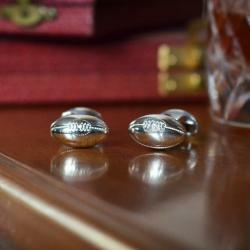 Royal Air Force Rugby, along with the RGS is also celebrating 100 years of playing this great sport. 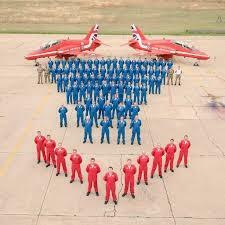 To help support the RGS in celebrating this memorable occasion, we are proud to announce that Air Command based at RAF High Wycombe has secured the absolutely incredible, genuinely unique and “once in a life time” auction prize; which is for 2 persons to visit the Royal Air Force Aerobatic Team, the Red Arrows, at their home base at RAF Scampton, Lincolnshire, and get as close up as possible to the world’s most famous military aerobatic display team - without actually flying the aircraft yourself on 22 January 2020! The visit will typically involve: a presentation by one of the pilots, sitting in on a pre-sortie brief, watching a live display, photo opportunity, sitting in on a post-sortie debrief, lunch with the pilots and an engineering tour with close access to the aircraft. This experience is not on general offer to the public, perhaps worth more than money can buy and its offering as a prize to this auction is indicative of the close links between RGS and the nearby HQ of the RAF; with many sons of RAF personnel attending, old boys who have undertaken RAF careers, RAF Rugby and of course the Combined Cadet Force RAF Section at RGS. 2 x tickets for the RAF v Army rugby match on 27 Apr at Kingsholm Gloucester. 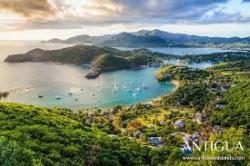 Enjoy the luxury of BA's business class with 2 Club World flights to the beautiful Caribbean island of Antigua worth £12,000 approx. Travel must be booked and travel completed by 31 May 2020. The winner should decide on the date of travel and submit the form, which will be provided to the winner, no later than 8 weeks prior to the date of travel. All efforts will be made to provide flights on the dates of the winner's choice but the winner is kindly asked to avoid choosing peak times such as Bank Holidays, the Christmas period and school holidays. Keep your favourite wine cool in a rugby ball wine cooler. Professionally produced and for sale for £80 through sporting memorabilia companies but here specially and lovingly created for RGSHW by Sandra Mellor and grandson James Kucera in Sandra’s Yorkshire studio. Most tables at the Sportsman's Dinner will feature one of these wine coolers, some created with RGSHW rugby balls and some with the balls of local rugby clubs. 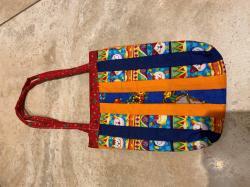 They will be on sale on the evening but 1 has been retained for sale via the online auction.